While it’s not technically the end of the month just yet, I have an impromptu day off today, so thought it would be nice to check in and see where I’m up to as regards the hobby progress for this month. 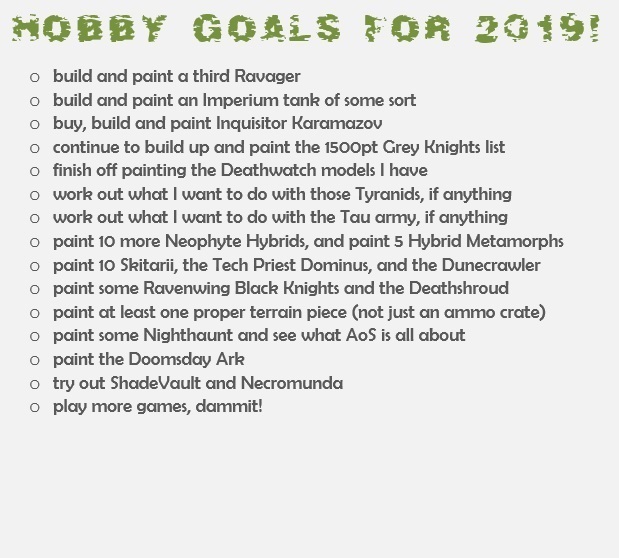 My original list of goals didn’t have any kind of time period against each one – so I didn’t want to finish painting the Deathwatch models I have in January, for instance, but I thought it’d nevertheless be neat to see how things are going! This one hasn’t been quite as difficult as I’d first thought it might be, as it happens. I’d been thinking about what I wanted to do, and at one point I did feel like just getting rid of the whole lot. 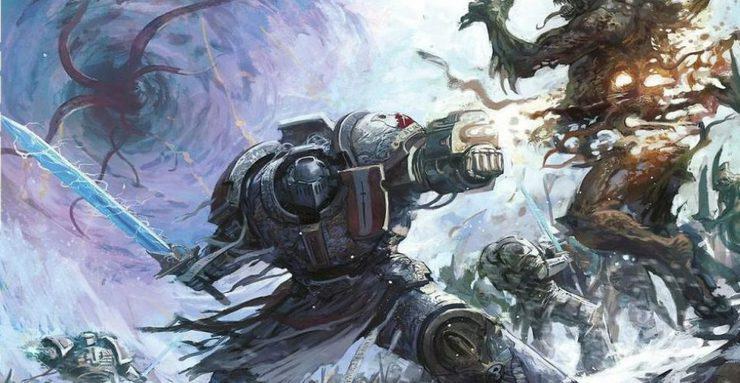 I initially bought into Tau because, if I’m being honest with myself, I was growing impatient waiting for the Dark Eldar codex to arrive, and wanted to play a xenos army with a book of their own. Being a completely different sort of project for me, I attacked it with relish and bought thousands of units (well, a lot) in a short space of time, built most of it, and started playing. Problem number one, therefore, was the fact I was playing games with an army that I hadn’t painted, which is never really advisable because it means you rarely get round to actually painting them up. Which has been my problem ever since, as it happens! I’ve got a lot of stuff built, most of it primed, but I still have plenty of stuff just in boxes, so for my first efforts here, I’ve decided to get rid of the boxed stuff. I’m then going to look at what I have left, draw up a list or two, and see what I think from there. I think I still want to keep some of the big suits, so I’ll be keeping hold of things like that second Riptide, and probably all of the Crisis Suits as well, but I’m considering getting rid of the second Commander (not sure yet). I’m also going to see if it’s worth it selling off a lot of the bits that I’ve been keeping a hold of. This hobby isn’t cheap, after all, and so I’m thinking it might be worth it to sell off things like the fusion blasters and whatnot, in an attempt to then finance armies that I do want! So far, then, good progress has been made with trying to sort out the Tau! 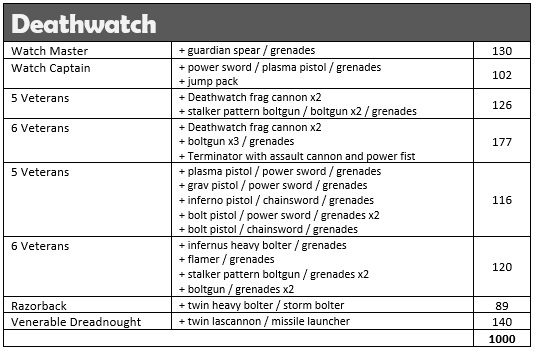 This one ties in to another blog that will be making its appearance tomorrow, but suffice it to say that I feel like most of the New Year/early January period was spent writing and re-writing lists for the Deathwatch army, before then building up more veterans ready for painting. So I suppose progress hasn’t so much been made with this one, as reversed, because I now have almost twice as many Deathwatch models as I had this time last year! But I’m chipping away at them, and hopefully soon there will be finished units that I can unveil here on the blog! This one has somewhat suffered for the last point, but in recent days, I do feel like I’m getting myself back on track as regards this project. 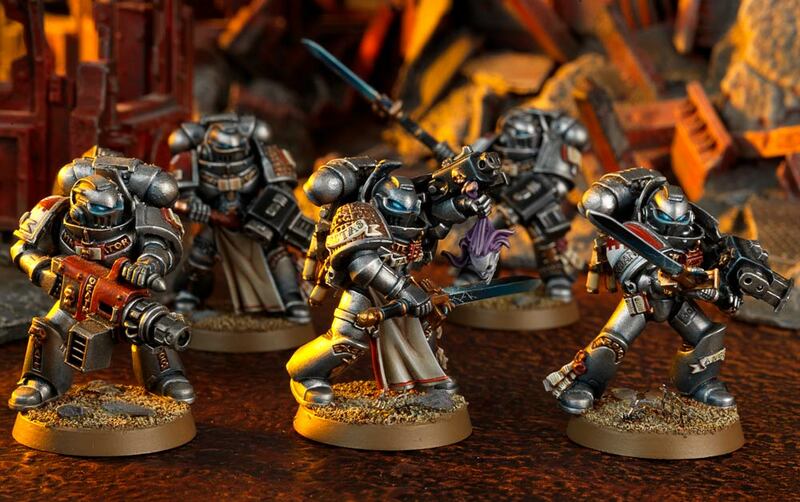 I am definitely feeling Grey Knights at the moment, so I’m excited to get this show on the road! While I feel like I’m swamped in Deathwatch and Tau miniatures that are just sat there, primed and taunting me, I’ve not been quite so prodigious with the Grey Knights, having a Strike Squad built up and primed, but nothing else, meaning I can concentrate on painting the Purifiers and the Grand Master. So far, I’ve been making some pretty decent progress, I think, so I’m really quite pleased to be going down this route for my new army for 2019! Of all of my goals, I think this is the one that I have succeeded with the greatest. While I’ve not fully painted the entire list just yet, I’ve nevertheless managed to get quite a lot done – so they’re not just bare plastic – and have played a total of two games so far. To put that into perspective, I played seven games of 40k during 2018 altogether! So far, then, I think I’m doing quite well with playing games. How are the models looking? Well, there is still quite a bit to be done, of course, and I do think that miniatures that have been primed white look just dreadful until they are actually fully painted. But overall, it’s good to be actually seeing an improvement with them on the whole, I feel! I’m really pleased with how my AoS exploration has been going, as well, as it has gotten me excited for playing, which is making me want to paint more, which is nothing but a good thing! Of course, I have been a bit guilty of running before I can crawl, and have been planning out all manner of different army projects of late. So for AoS in particular, I’ve been taking steps to reduce that significantly, and have decided to get rid of the Idoneth Deepkin models. 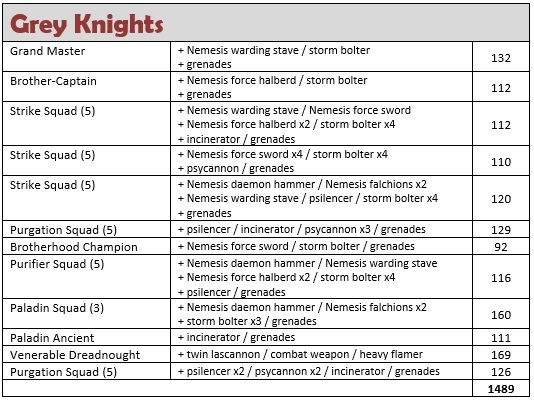 I know that I’ve only recently been building army lists for them and everything, but I do feel that, of all the armies I’ve looked into so far, they’re just not doing it for me. 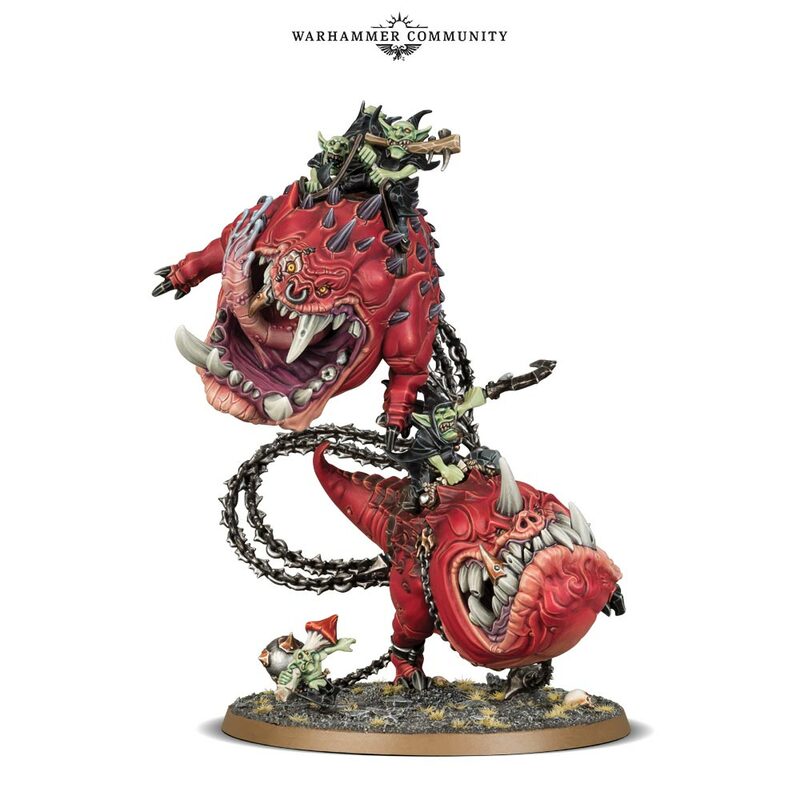 The models look fantastic, don’t get me wrong. It’s just the way the army seems to want to play, I just can’t seem to get into it. So I’ve taken back what I can, and will be selling the rest off shortly. This isn’t meant to be some kind of slow abandonment of fantasy, however. Rather than going wide, I’ve instead decided to go deep into the Death faction, and will be broadening my Nighthaunt into the Legions of Nagash at some point, giving me the perfect excuse I need to buy the big guy again! Both of my AoS games have been at the local store against the same guy, who is Chaos through-and-through, so I think it’s perhaps a better approach to just stick to one faction and really go into that. So there we have it! Hopefully there will be more exciting updates for you all next month, when I hope to actually have some finished units to show off! It feels like it’s been a while since I’ve been here on my blog, so I thought it might be time to take a look at what I’ve been up to, and what I might have missed in the recent days! So this is exciting then! I am a huge Ghostbusters fan, as I’ve mentioned here when my blog turned two in 2016. That same year, of course, we had the reboot movie come out, with an all-female cast, a movie that I didn’t feel the need to watch as it just felt all too unnecessary. I’m not trying to make a chauvinist point, though I suppose it does sound like it. It’s just a franchise that didn’t need a reboot. I read an article recently on movieweb that talked about how the recent trend for modern sequels has become a thing, as opposed to the total reboot of a beloved film series, and if the rumourmill surrounding Ghostbusters 3 is anything at all to go by, we could have a success on the way next summer. There’s talk of a Stranger Things vibe, which I’ve not yet seen but heard good things about. Now, given that the world has moved on from 1980s-style kids-on-an-adventure, I guess it won’t quite be that way, but I’m looking forward to seeing how a modern sequel to these films would work. If there are enough call-backs to them, without trying to keep too much in that re-hash frame of mind. I’ve been reading the fourth Gaunt’s Ghosts novel since New Year, and finally got round to finishing it the other day. It was a good read, though did feel a bit like a slog at times, given the storyline. Gaunt is forced to make a tactical error when rooting out some Chaos Cultists on Hagia, the homeworld of Saint Sabbat herself, and so is given a final task to evacuate the holy relics of Saint Sabbat before the world is overtaken by the Archenemy. It’s quite the slog into the hills to recover those relics, but there were some nice bits, and it’s always good to read about Chaos cults. Remember back in December, I took a look a look at the first book in the Enforcer series, Crossfire? Well my fellow blogger wordaholicsanonymous has also published his own review of the book that we read as a buddy-read at the end of last year. 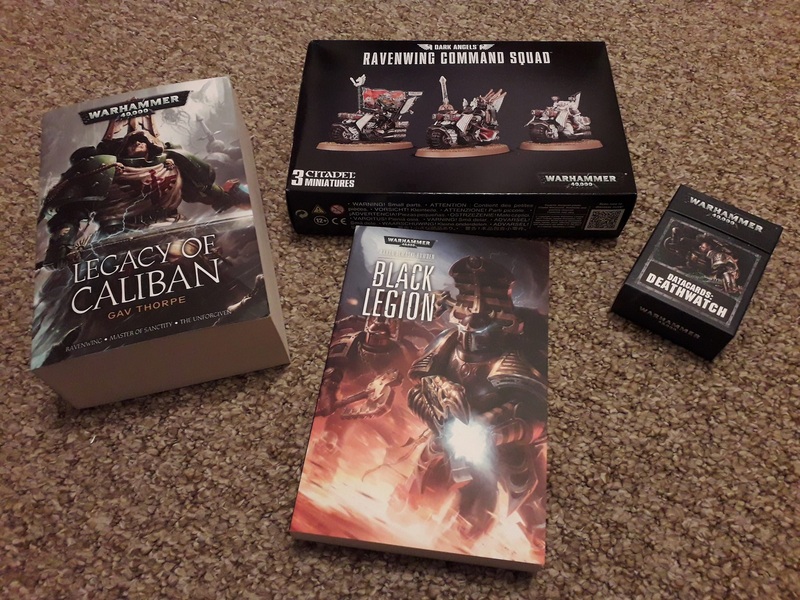 I feel like he’s done a better review than me, and his copy looks like part of the Warhammer 40k Legends series, so has some extra fancy bits in it that my omnibus was missing, so if you’re interested in a different take, please go check out what he has to say! Reading Azazel’s progress with the Balewind Vortex has reminded me that I was going to be painting up some terrain of my own this month! I’d decided to start work on one of the Promethium Reactors that I have, so I’ll start work on that shortly. At least it’s already built and primed! Hopefully I can start to make a dent in the massive amount of scenery I have waiting for some paint, anyway! With regard the Grand Master of my Grey Knights army, however, he’s been coming along quite well! I’ve been struggling a bit to really get into painting stuff, though, but I continue building like there’s no tomorrow! 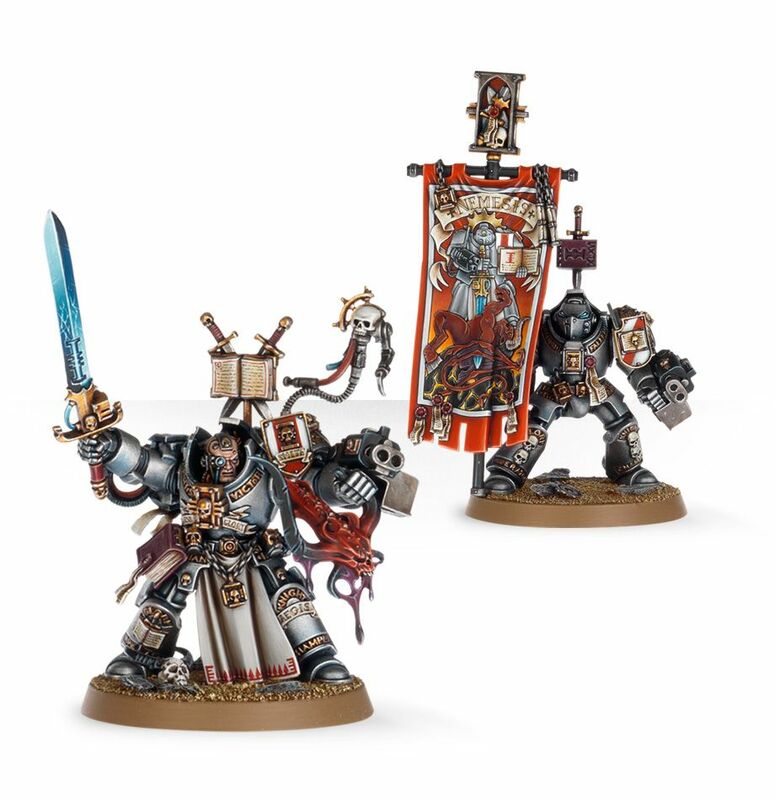 I’ve been trying to get my Grey Knights and Deathwatch armies into positions where I feel like I could happily start playing them. It’s a bit more urgent with the latter, as I’m going to be entering a doubles tournament in the summer (with any luck!) alongside my mate Kev’s Grey Knights. I think I’ve been through about a dozen iterations of the army list, but finally have 1000 points built and ready to go! It’s been a slightly different story with Age of Sigmar and my Nighthaunt, though, who had their second outing last Monday in a three-way match against Maggotkin of Nurgle and the Ironjawz! To be fair, they didn’t do a great deal of anything, though it was an interesting game to see what everything could do. Definitely enjoying myself with fantasy right now, I must say. I’ve been excitedly thinking about plans for a Legions of Nagash army, incorporating one of my favourite models in the range, Arkhan the Black! Thinking back to such models as the Mortarchs, which came out back in the End Times, has also got me thinking about a Skaven plan when the new box set comes out, as I think steampunk rat-men could be quite a hilarious project! 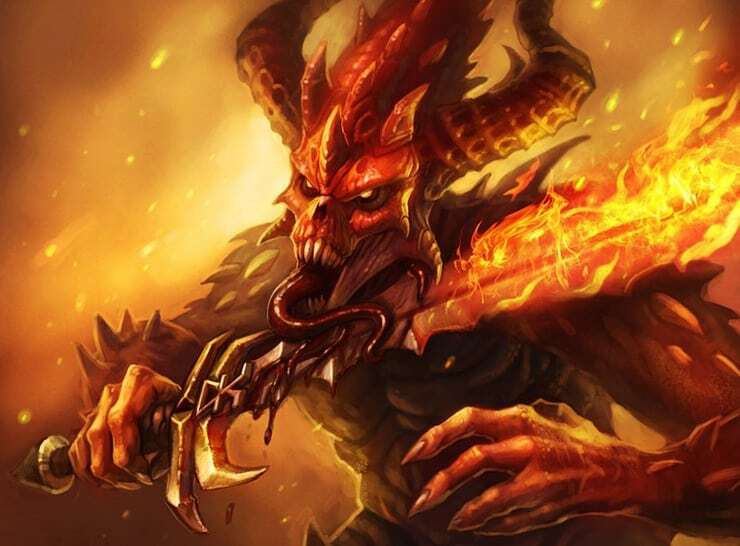 I’m sure I’ve got a Thanquol & Boneripper still knocking about somewhere from back in the day! I think it could also be time to dig my Deepkin out, as well! So with all of this stuff, and the anticipated imminent arrival of the Genestealers, I feel like I’m going to have my hands full with a lot of projects on the go! 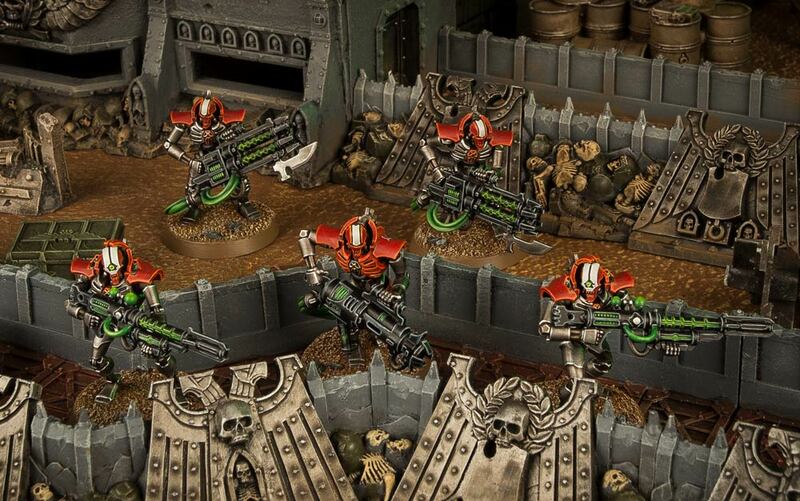 I’m not yet convinced by Kill Team: Arena, which feels a little like it may not be the product for me, though I am excited to get my hands on the Primus Gunslinger model that’s coming in the next faction expansion for the game! I’ll have a proper hobby catch-up at the end of the month, anyway, and see how I’m getting along against my hobby resolutions!